As exciting and transformative as 2015 was, I truly believe that 2016 will be even more amazing! A mindful reflection on last year was so helpful in seeing and celebrating all the wonderful things that happened and all the progress that was made. However, a deep-dive reflection almost seems incomplete without at least a little bit of looking ahead too. Luckily, Susannah’s Unravelling the Year Ahead provided a great looking ahead framework. This beautiful workbook is less about a concrete plan (though it could certainly be used that way) and more about how you want to feel as you go through the year. In 2016, I love my openness to growth and learning. I love my love for others. I love my smile. In 2016, I will say no to people pleasing and self-criticism. I will say no to the hustle for worthiness. In 2016, I will release the unhelpful belief that I don’t have enough training to do anything or everything. I will release the unhelpful belief that everyday me isn’t worth celebrating. In 2016, I will create a sacred space for meditation and self-care rituals. In 2016, I will write a letter of thanks to three important people in my life. 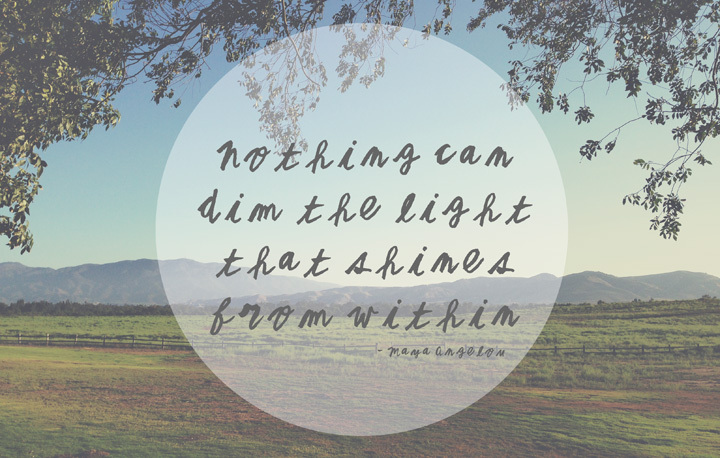 In 2016, I will manifest the dreams of teaching a mindfulness class and writing a book. In 2016, I will cherish my home by inviting people over on a regular basis. In 2016, I will live all aspects of my life based from a deep love of myself. In 2016, I will continue to deepen my meditation and mindfulness practices through sitting, sangha (community), and retreat. In 2016, our family will connect through art, creativity, nature, and just being together. In 2016, I will be love, feel love, and live from my center. I will spread that feeling to everyone I meet. In 2016, I will love myself and step into my power and strength. In 2016, I will nourish myself with time, self-compassion, presence, nature, and healthy foods. In 2016, I will be mindful of feelings and sensations and how they arise in my body. In 2016, I will courageously share my stories, thoughts, and opinions. In 2016, I will release my connection to accomplishments and instead connect to my heart. 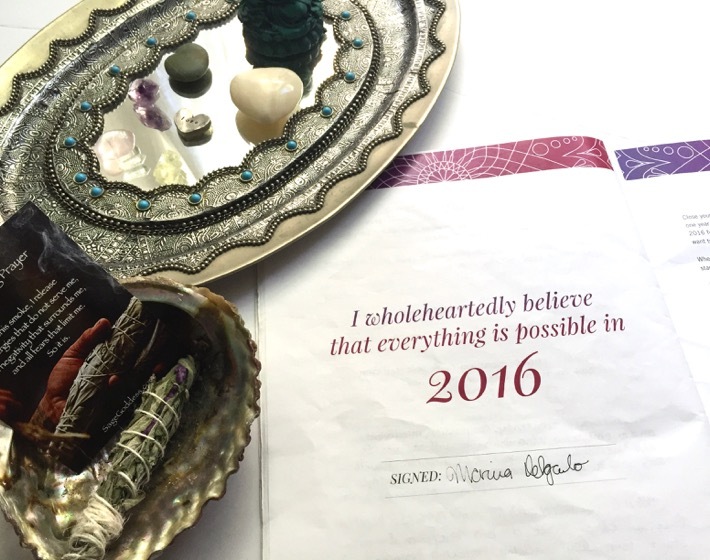 In 2016, I will feel whole, centered, and full of love. This year I will live from the deep love within me. I will love myself and others through my writing and through my words. I will balance the roles of mother, partner, and student with grace, calm, and with LOTS of help. I will be ME every single day. This year I will have more self-confidence, self-love and a deep sense of self-worth. I will call on my loving support system each day, as I take on the world, and that support system will include ME. This year I will feel. PERIOD. I will continue to live the length and width of my life. I will feel every emotion as it arises and passes. I will feel positive emotions. I will name them. I will feel the sensations in my body as joy, happiness, courage, and compassion arise. I will feel self-compassion as a necessary and important tool in my self-care and humanity tool box. This year I will know the deepest longings and quietest whispers of my heart. I will know and be friendly with the quiet and the space that is needed to “know” anything. I will know the love within me and I will make that love known everyday. Sharing my thoughts about looking ahead to 2016 pushes me into that uncomfortable place of vulnerability. The shame gremlins that pop up in all of our lives that force us to worry about the negative “what-ifs.” The problem is, if I focus on the “negatives” I also ignore the possibility of any positives. There is freedom waiting for you, On the breezes of the sky, And you ask What if I fall? Oh, but my darling what if you fly? So I choose to dare greatly. I choose to share my hopes and dreams for this year. Unless you’re willing to put the energy of your wishes and longings out into the Universe there can be no expectation of a return of any kind. You don’t need to write a blog post or even share your writing publicly; but what about jotting them down in a journal and sharing with a trusted friend? There really is something special about writing down your hopes and dreams. Go for it. Embrace vulnerability! Despite the fact that April is approaching and we’re entering the second quarter of the year (what?!) you can still set the tone, the feelings, the hopes, and the dreams for YOUR year. Take some time and try looking ahead for just a moment. Close your eyes. Take a breath. How do you want to feel on December 31? Where do you want to be? Now open your eyes, grab a pen and write. 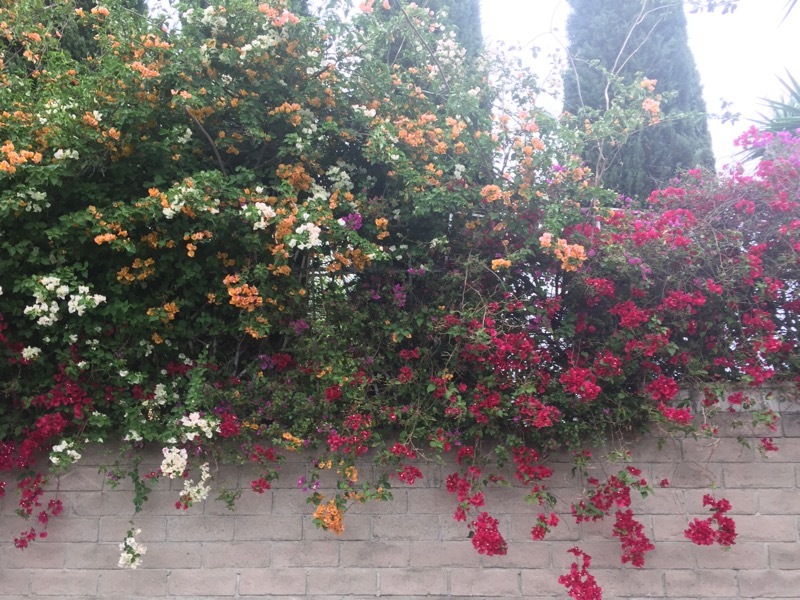 One year ago, on March 20, I launched this lovely little blog called Mindful Memory Keeping. When I started, this website was all about my two passions, yup you guessed it, my mindfulness journey and my memory keeping hobby. In the past year I’ve certainly posted on those topics but I’ve also posted about a mix of other things too. I’ve also tried to incorporate the idea of embracing vulnerability in all of your endeavors. Whether you’ve been accompanying me on this journey and reading my posts for one year or for one day please know that my sign off, “Thank you for spending this moment with me. I am grateful for you”; I mean it from the bottom of my heart. Delicious! I felt tingly throughout my body reading this. I think I want to write a post about Play and my intentions for the year. A little toss for you if you are open: I felt a little jangle, or like the brakes put on in this statement: In 2016, I will finally love myself and step into my power and strength. I suggest removing the “finally” as qualifiers as this tend to come from our judgemental side. Another fun thing that I line to do is make these types of statements in present tense and read them frequently. For example one of my life goals reads, “I enjoy an experiential understanding and connection with the spiritual world. ” Playing with active verbs is also fun for me. Here’s one I created the other day, “I play-FULLY express my power and own my space.” Thanks for the inspiration and insight into what’s manifesting for you! Oh I had the thought, if you’re interested in have a fun and lively verb list. Oh maybe I’ll put that in my next post! Ok yes, I’m writing about this. Thanks! I LOVE this Marina! peace begins with loving yourself!! oh so beautiful! Love this. Very inspiring. I am usually sort of hesitant and conservative when it comes to setting intentions or goals for a year ahead. I struggle with it. It’s inspiring to see you being bold and lots of great reminders for all!